“We would have lost him because no one in our family understood how serious this was. After I explained to them what a mistake it would be to not admit him to the hospital, his father broke down.” says his cousin, Asgar Ali. Tousif had just completed engineering and was about to start looking for jobs when life gave him a rude shock. Suddenly, he became really sick with headaches and vomitings. Neither he nor his family had the slightest idea of exactly how serious his condition was. 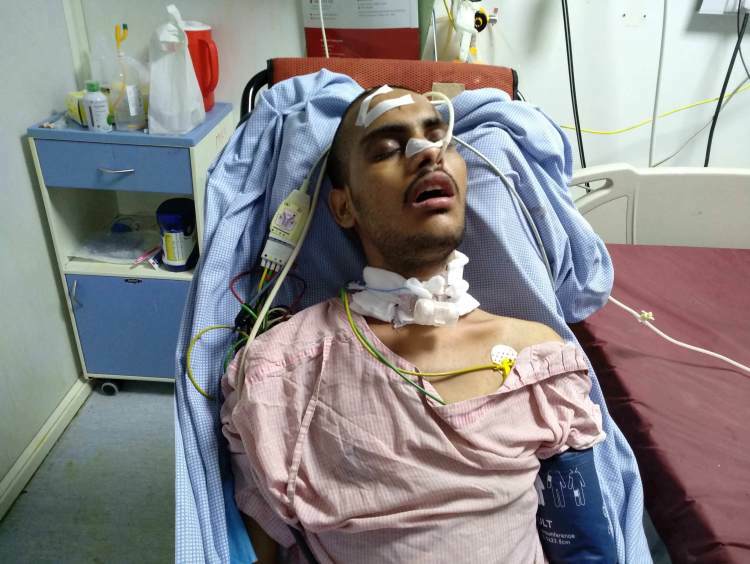 22-year-old Tousif’s bad health was ignored by him and his family for over a year due to lack of awareness. Almost the whole of last year, he had episodes of severe headaches and vomitings. But they kept taking him to small clinics and taking over-the-counter medicines to suppress his condition. 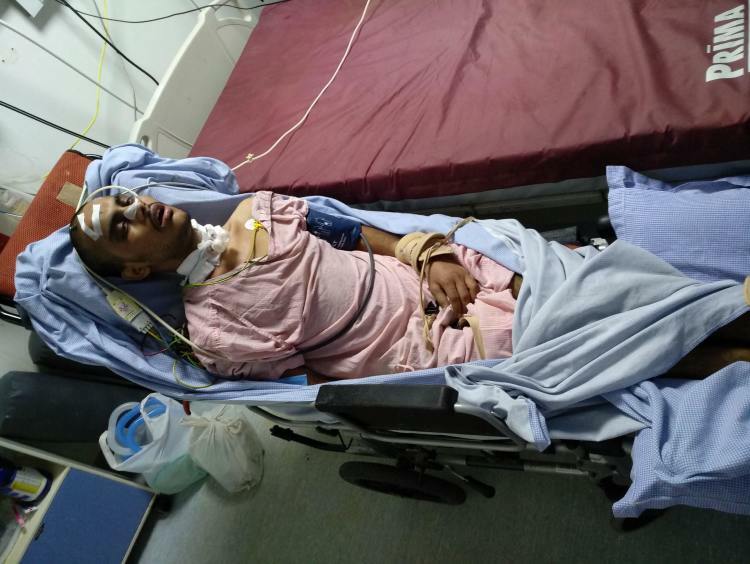 Sadly for Tousif, the medication led to a stomach ulcer and he had to be hospitalised for a few days to get treated. Even then, his brain tumour was not caught. For a few months after that, his symptoms were gone, and his family was very happy that their boy was fine. But when the symptoms resurfaced, they were uglier than before. He was getting weaker day by day and couldn’t even walk to the bathroom when he had to vomit. His splitting headaches made him dizzy all the time. He also started experiencing visual blurring. The doctors called Tousif’s parents and told him that he had a tumour in his brain. It was filling up with fluids, causing Tousif to vomit and get severe headaches. The doctors told his parents that his tumour had to be removed right away for him to recover. But upon hearing the cost of the treatment, they asked the doctor for time to think about how to arrange the funds needed. 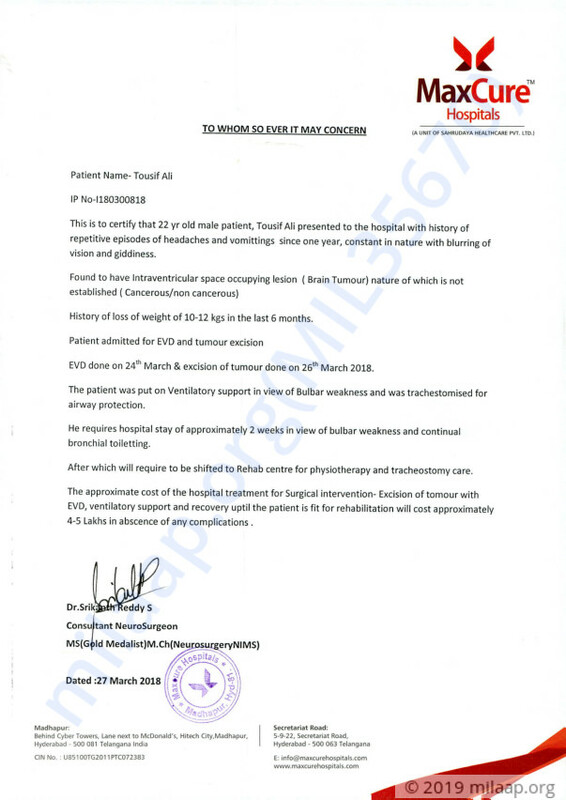 Tousif’s condition is so serious that they couldn't waste any time. When they were back in their village and consulting the rest of the family on what course of action to take, Tousif’s cousin Asgar, saw the reports. He sensed that something was seriously wrong with him. He started researching on the condition and sat Tousif’s parents down to explain the situation to them. 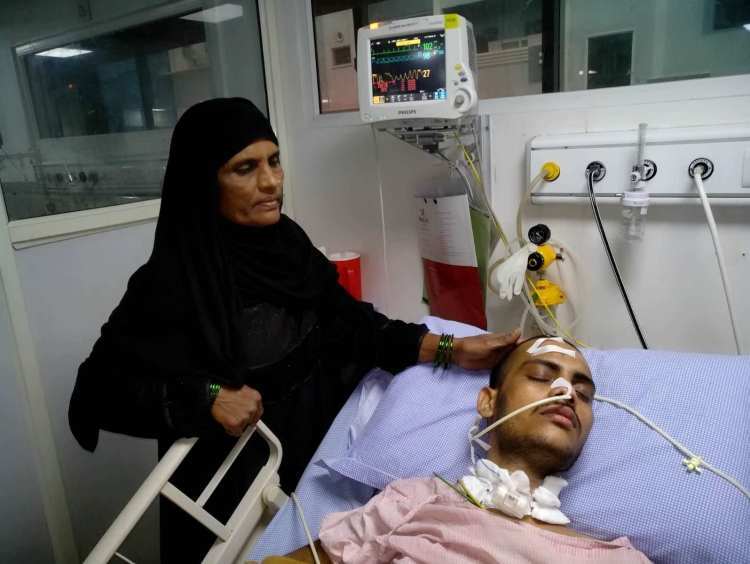 Tousif needed treatment right away, or they might lose their son. “They were talking about arranging money for his treatment and I understood that there’s going to be a lot of delay in figuring the finances out, given our financial condition. Tousif didn’t have that kind of time.” says Asgar. 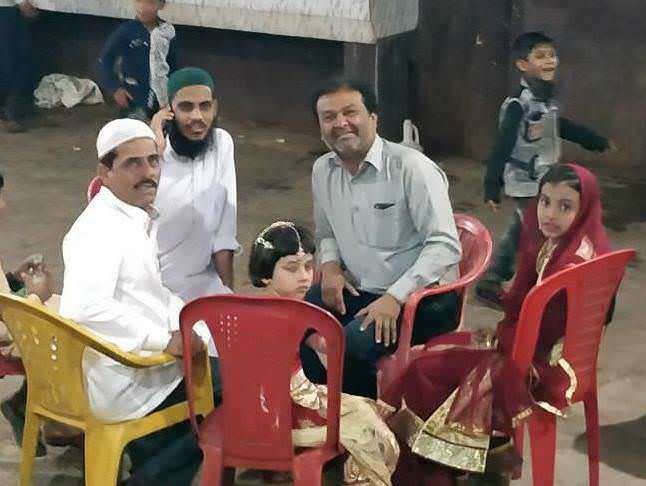 Asgar promised to help them out with his cousin’s treatment and started talking to all their friends and relatives to borrow money from them. But the struggle was far from over. Finding money wasn’t that easy and Tousif’s condition continued to worsen with each passing day. “He had become very weak. When he would have to throw up, one of us had to hold him so that he didn’t fall. 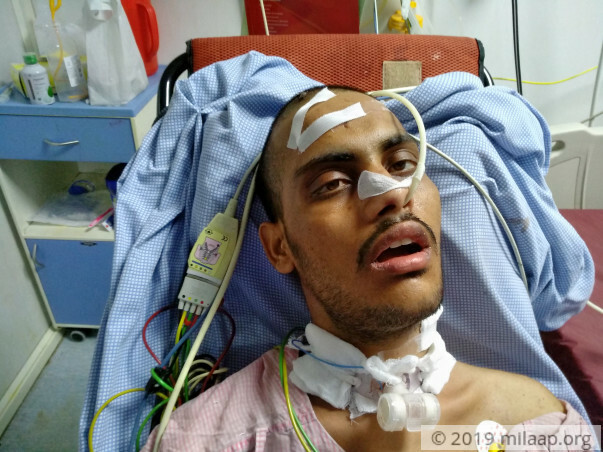 He would often close his eyes when his headaches were exceptionally bad since his vision would get blurred.” says Asgar, remembering how Tousif used to suffer before the surgery. Asgar started borrowing from every source that he could think of. 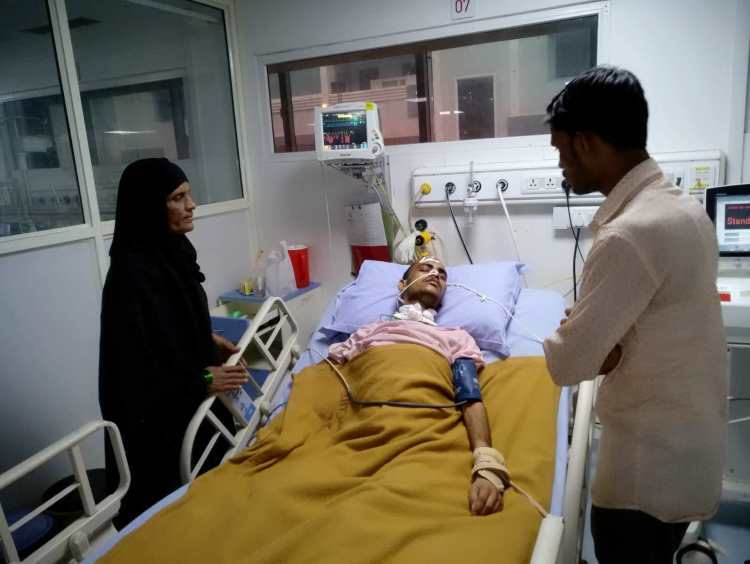 Once they had enough money to start the treatment, Asgar brought Tousif to Hyderabad and got him admitted to Maxcure hospital for the surgery. Thanks to Asgar’s efforts, Tousif got operated upon. Over Rs 4.5 lakhs have been spent for his treatment so far. Even though he is done with the surgery, his treatment doesn’t end there. He still needs post-operative care and rehab in order to completely recover. But Tousif’s family can’t afford the treatment. Tousif’s father, Shaker Ali, is a daily wage labourer who barely makes enough money to keep the household afloat. His older brother is an autorickshaw driver. But even their combined income isn’t enough to fund Tousif’s medical expenses, and there are no other sources they can borrow money from. Asgar and Tousif’s family have done all they could to fund his treatment. Now, to save him they need your help. 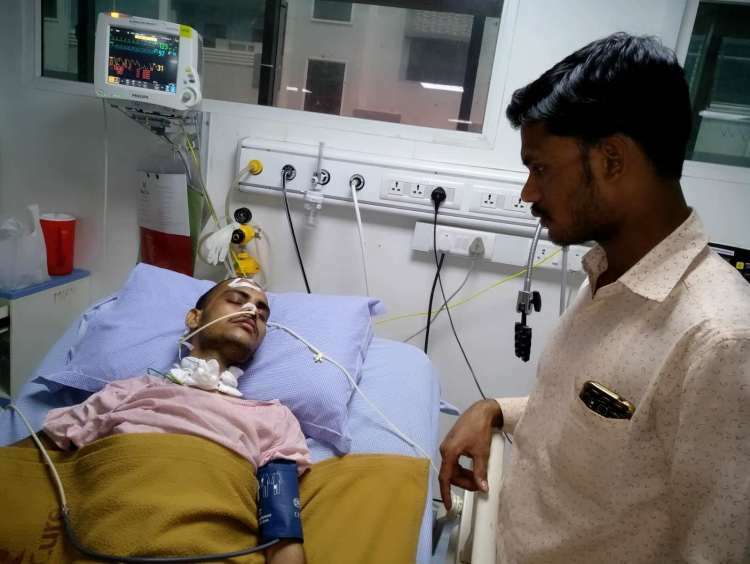 Only your contribution can give him back his life and bring joy and relief to his family. Please help save Tousif Ali. Tousif was discharged from the hospital recently. Now he is just under rehabilitation and ongoing physiotherapy. He was relieved of tracheostomy. He is better now and can make movement with assistance. He'll stay in rehab for next three months as suggested by doctors. Thank you so much supporters and contributors. This couldn't have been possible without the support of you all. Currently, Tousif is still on tracheostomy and Ryle feeds. There has been some improvement in his health, Although he's gotten very weak and he has lost weight. His nutrition status has also gone low. He is in rehabilitation and recovering slowly. He is undergoing physiotherapy and will undergo the same for the few months. It's a long road for him to be completely recovered and we shall keep you all posted. Thank you for the love and support which you have shown towards him. Thank you for the wonderful support that you have shown towards Tousif. He is doing better now compared to earlier and the tumour has been removed. The doctor has reviewed his health today and he has been advised to stay on tracheostomy and Ryle feeds. He is advised supportive care and rehabilitation for a complete recovery. Thank you all once again. Please do pray for his health and speedy recovery. Will keep you posted.